Covering Bodmin, Camborne, Falmouth, Helston, Launceston, Liskeard, Looe, Newquay, Padstow, Penzance, Plymouth, Plymstock, Redruth, Saltash, St Agnes, St Austell, St Ives, Tavistock, Lizard and Truro. Call 01872 553 898 Today. We are OLEV accredited and can apply for your Electric Vehicle charging point grant for you! Complete the form to request an electrician and we will get back to you as soon as we can. Customer satisfaction is vital to us. If you have any questions or comments about our services, electricians or website, please don’t hesitate to call us on 01872 553 898. 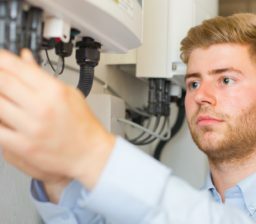 Mr. Electric boasts a specially trained EICR team to conduct these inspections as part of our full package of electrical solutions. 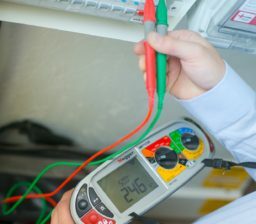 Our highly skilled electricians can carry out Portable Appliance Testing (PAT) quickly and safely, while providing expert advice. 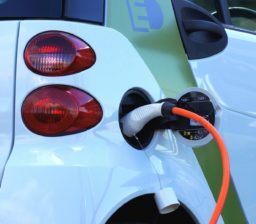 We specialise in the installation and management of electric vehicle charge stations for homes and workplaces across the UK. 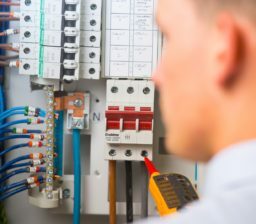 From power cuts to damaged wires, our electricians can efficiently address any routine or emergency repairs.